I sometimes find my brain getting caught up in creating ever more elaborate projects, so its nice to make something that might look elaborate, but is actually very simple. 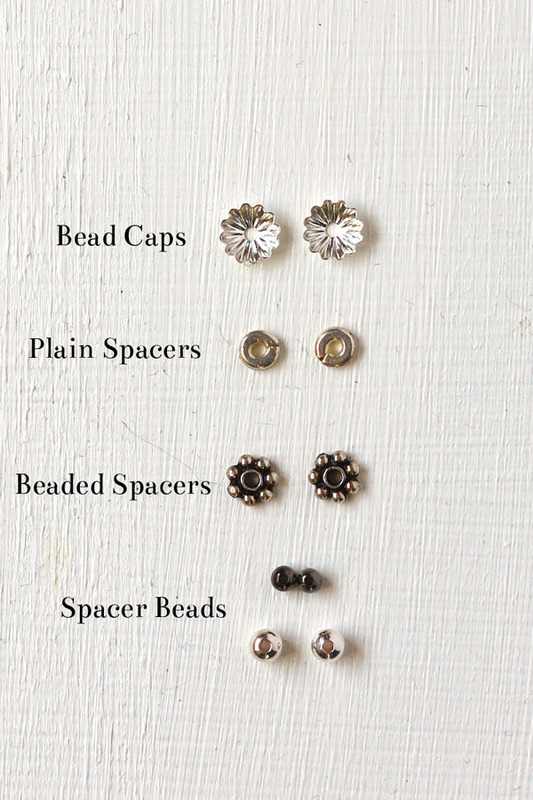 Step up your DIY earrings by using bead caps and spacers. 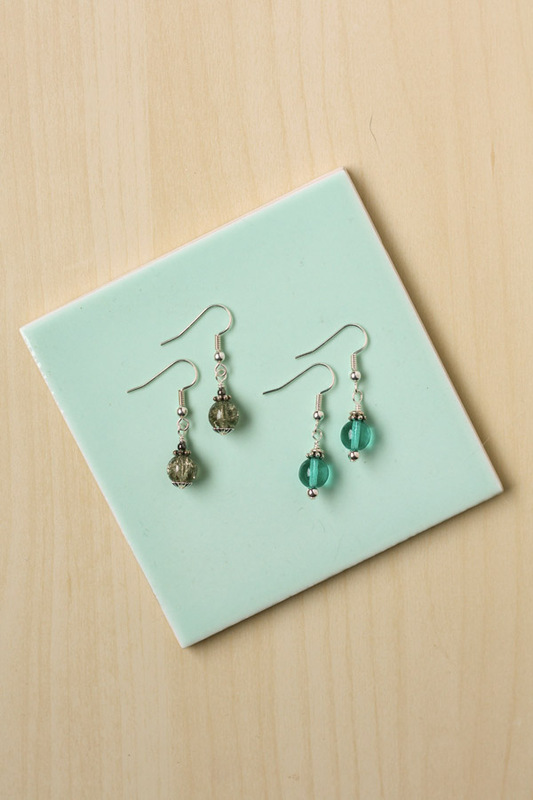 Just adding some decorative spacers and beadcaps can make plain beaded earrings into something special. 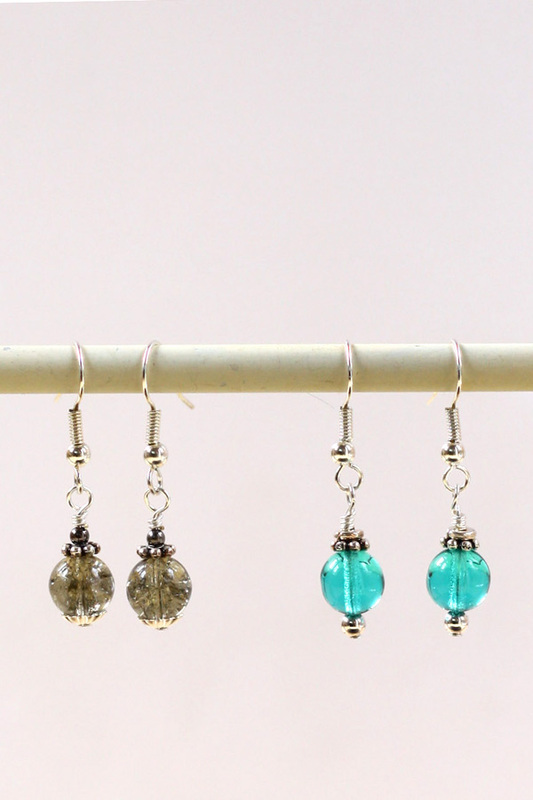 1.So what are bead caps, decorative spacers and spacer beads? They are metal findings that can be used in many ways alongside beads, to add interest to your jewellery. They can be as simple as plain metal beads and discs or have complex decorations on a bead cap, some are even studded with diamantes! 2.I find they are best used in groups. 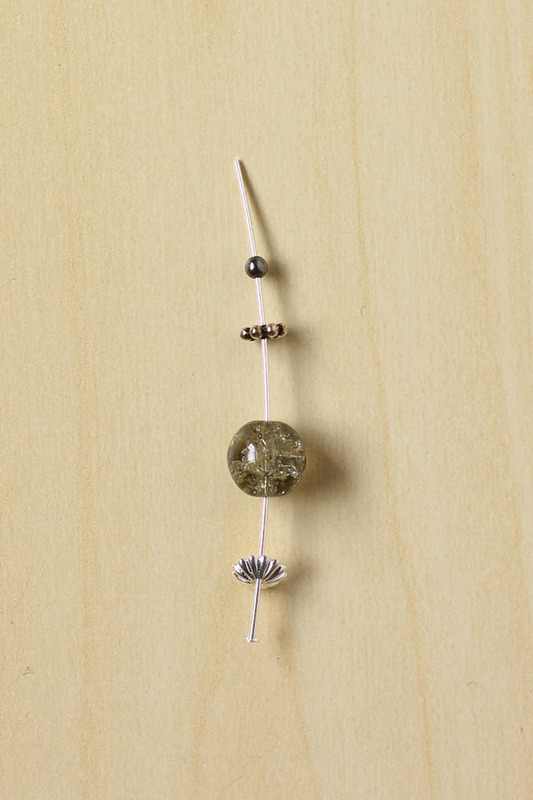 For this project, take a headpin and thread on a 6mm bead cap, a 8mm bead followed by a 5mm beaded spacer and a 2.5mm spacer bead. 3.Slide them down to the bottom of the pin and make a loop. Making loops in wire is one of the fundamental techniques in jewellery making, and like most things, practice makes perfect! I’ve broken down step by step, feel free to skip ahead if you are already a loop making expert! 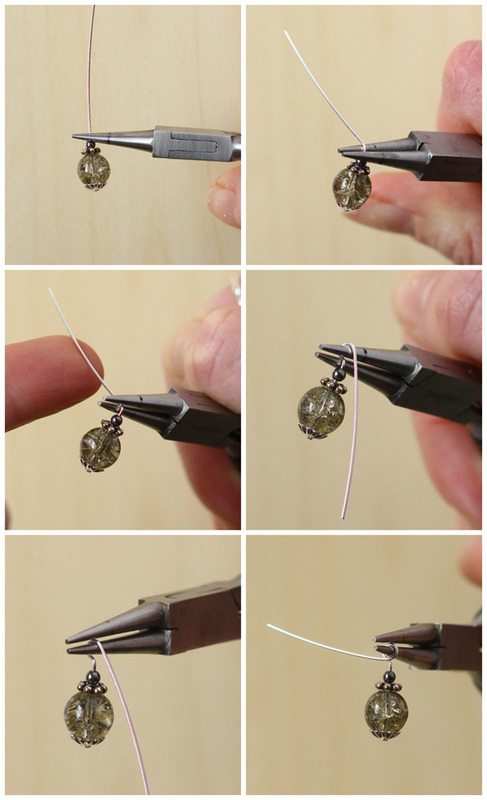 -Using your round nose pliers, grip the headpin just above the last spacer bead. Bend the headpin away from you then re-position your pliers so you are gripping the top of the wire. 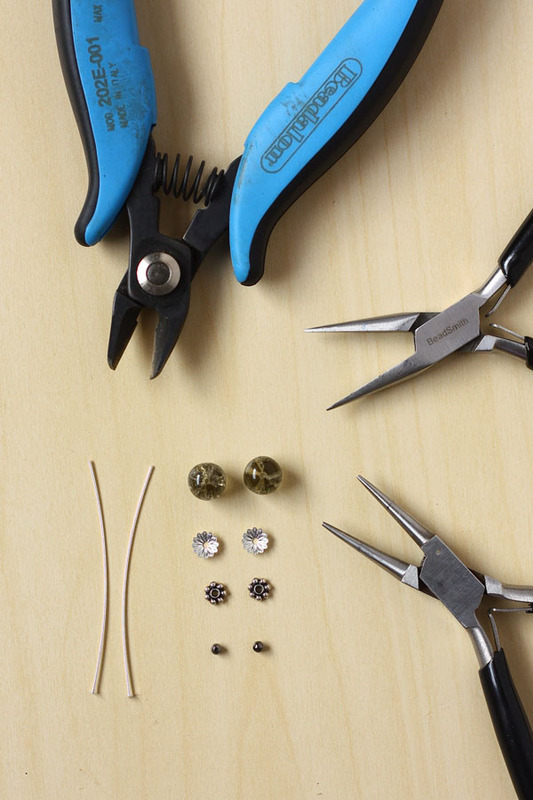 -Bring the headpin towards you, over the top of the pliers to create the first half of the loop. -Re-position your pliers again so you are gripping the top of the loop you just made, then continue pushing the wire downwards and underneath the bottom jaw of the pliers. Leave the end of the wire facing away at a 90 degree angle. 4.At this point you can cut off the excess wire to leave a plain, open loop. But for extra security, we are going to create a wrapped loop. Hold the loop you previously made in your chain nose pliers to hold it still, then wrap the end of the headpin around the stem 2-3 times, moving down towards the bead and cut off the excess. You might need to squish (technical term there..) down the little point of wire thats left. 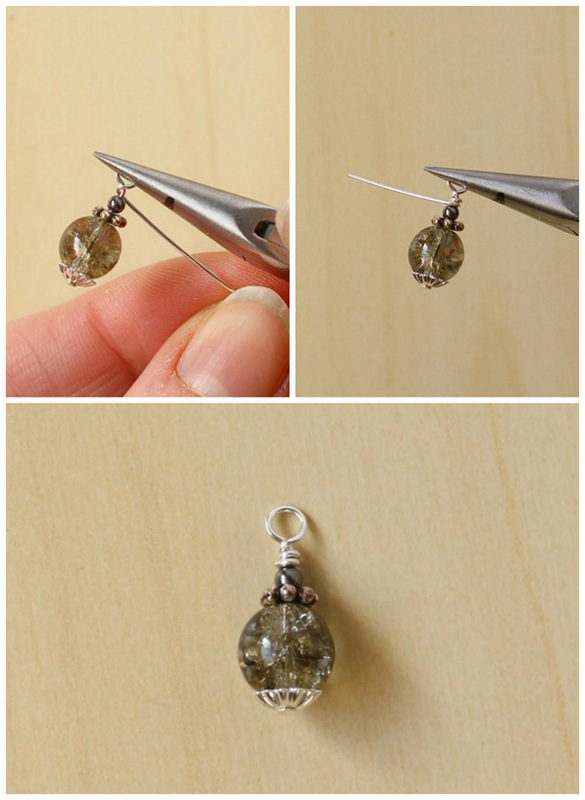 5.Repeat steps 2 – 4 to make another, then add each onto a fishhook earring. Adding a couple of bead caps and spacers really jazzes up a even a plain, single bead! If you have a go at using bead caps and spacers in your jewellery, let me know by commenting below, or message me on on Twitter, Instagram or Facebook! I love to see what you create. Happy Making! Thank you for your presentation of this earring project. It is beautiful, inspirational and looks easy to do. Especially if you are a beginner.